Forearm Fusion™ is advanced forearm techniques developed to enhance career longevity. 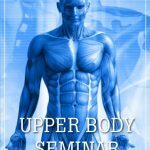 The goal is to teach therapists how to better utilize their forearms and various aspects of their elbows as well as optimizing and improving body mechanics. New and seasoned therapists will effectively use their bodies by applying maximum pressure with minimal effort or strain. Forearm Fusion™ will save your body and make massage easy, no matter what your client is looking for, without the use of your hands or thumbs! The two-day Forearm Fusion™ class, and the Forearm Fusion™ advanced class, were designed by Jim Funk, LMT. Jim’s Forearm Fusion course is a two-day intensive class that teaches therapists how to utilize forearms and elbows in their relaxing and therapeutic massages. In addition to practicing and perfecting techniques, the class emphasizes optimum body mechanics as well as the mind-body connection. Forearm Fusion is filled with techniques that are useful for all therapists from the novice to the experienced practitioner. Forearm Fusion™ classes are scheduled throughout the year, and are held throughout the region, including in exciting places like St. Pete’s Beach, Florida! We have several new two-day courses coming up! Call now to register at 610-705-4401! 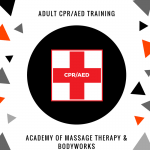 Welcome to Academy of Massage Therapy and Bodyworks, a leading massage school located in Pottstown, PA. Our instructors and staff are dedicated to both the education and continuing education of massage therapists. Our goal is to help our students provide the healing power of massage therapy, reflexology, bodywork, and touch therapy. © 2019 Academy of Massage Therapy and Bodyworks - Site by Brodie Interactive. All rights reserved.